Salem Regional Medical Center (SRMC) now offers patients the highest quality cancer-detecting technology in the nation, giving them a better chance at the best treatment options quicker, according to Dr. Peter Apicella. 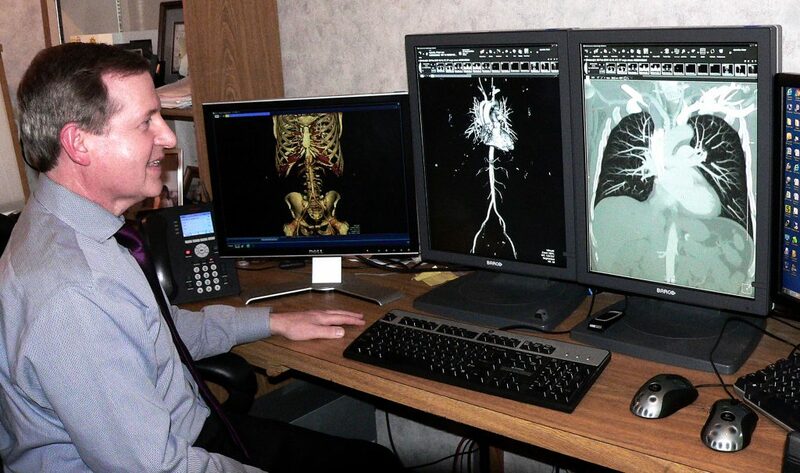 Apicella serves as the hospital’s chief radiologist and said they’re very excited about the addition of a new next generation state-of-the-art 3D PET/CT scanner. “All of this is to provide the best care for our community,” he said. SRMC started using the new scanner just two weeks ago as a national showcase site for Siemens, the company which manufactured the next generation machine. 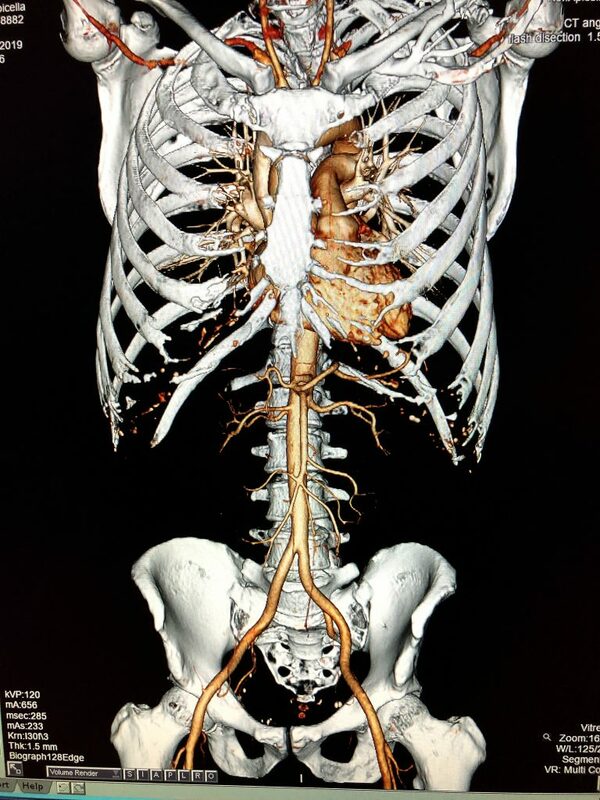 What’s more, the combination latest generation 128-detector CT and Positron Emission Tomography scanner uses half the radiation dose of older machines in half the time and creates the highest resolution, most detailed images available. What that means for patients is this — 4 seconds to create 4,000 images of every nook and cranny inside the body, every organ, every bone, every blood vessel, every muscle — meaning doctors will find every bit of cancer at once inside the entire body. They’ll know the bottom line immediately so the best course of action can be determined for treatment right away. “We feel very fortunate to have this next generation technology available to our patients so they have the best chance of survival from cancer,” Apicella said. The process uses sugar to see the cancer because cancer cells eat more sugar than normal cells. In a quiet nearby room, the patient is injected with a tiny amount of radioactive sugar, then relaxes for a hour to give the sugar a chance to work. Once inside the open scanner, the patient just lays there. The process takes under 15 minutes. The scanner can also accommodate a patient up to 500 pounds. “I think it’s going to be really good for our patients,” Apicella said. The head of the oncology program at University Hospitals in Cleveland came to see the new scanner and according to Apicella, his comment was that the 3D PET/CT images were the sharpest and highest quality he’s ever seen. SRMC is the first hospital to offer the technology within an eight-state region of the country. The Cleveland Clinic, University Hospitals and hospitals in Pittsburgh don’t have it. 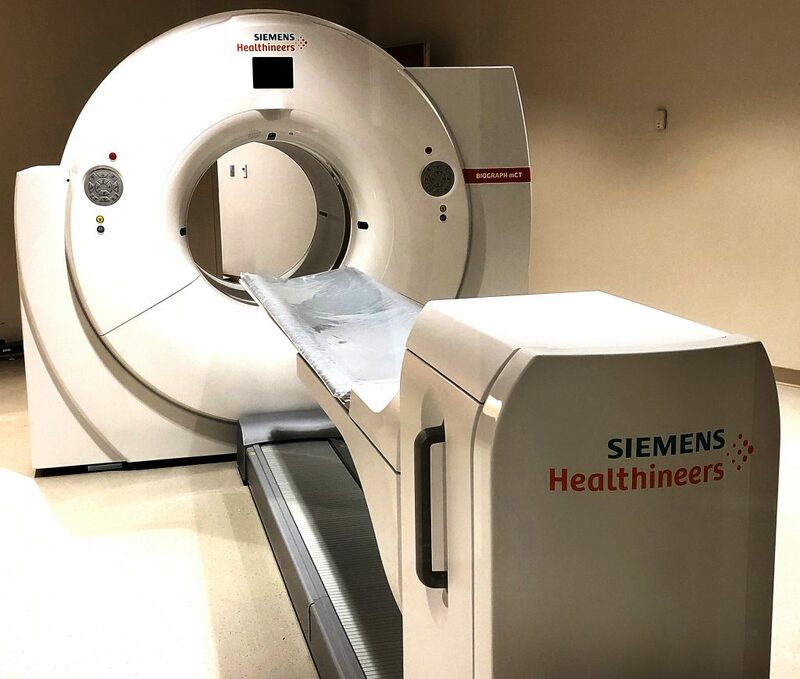 Siemens selected SRMC to showcase the scanner, recognizing the hospital as a regional leader in advanced medical imaging and giving a discount on the price. SRMC was the first in the area to offer PET scanning to look for cancer in the 1990s. In the early 2000s, a combined PET/CT scanner opened up the world to diagnosing cancers anywhere in the body. Now 20 years later, the hospital has the 3D next generation PET/CT scanner to diagnose more cancer. 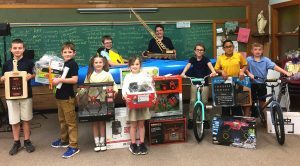 SRMC is continuing to invest in the community. “The quality of technology has advanced tremendously in the last few years,” Apicella said. The hospital’s advanced imaging services include 3D mammography, the fastest Dual-128 CT Scanner with 3D cardiac CT, 3D virtual CT colonoscopy and low dose lung cancer screening CT, the area’s first open 3T MRI including the highest detailed breast and prostate 3T MRI and the latest high definition ultrasound. The new 3D PET/CT scanner is covered by all insurances, Medicare and Medicaid and can save money due to early diagnosis and the ability to provide the correct treatment plan first. Doctors can pinpoint the exact size, location and extent of the cancer, reducing the need for some of the more invasive procedures for diagnosis and target the treatment. Combined with this and the radiation therapy available at the University Hospitals Seidman Cancer Center at SRMC, patients can receive their cancer care close to home. SRMC has invited health care professionals and hospital supporters to an unveiling of the new scanner on April 3. Anyone from the community interested can contact public relations at 330-332-7214.